In a paper published Sept. 19 in the journal Science Advances, an international team led by scientists at the University of Washington reports that DNA test results of large ivory seizures made by law enforcement have linked multiple ivory shipments over the three-year period when this trafficking reached its peak to the same network of dealers operating out of a handful of African ports. The researchers linked these ivory shipments together after developing a rigorous sorting and DNA testing regimen for tusks in different ivory shipments. This method allowed the scientists to identify tusk pairs that had been separated and shipped in different consignments to different destinations around the world — yet had been shipped out of the same port, nearly always within 10 months of each other, with high overlap in the geographic origins of tusks in the matching shipments. "Our prior work on DNA testing of illegal ivory shipments showed that the major elephant 'poaching hotspots' in Africa were relatively few in number," said lead and corresponding author Samuel Wasser, director of the UW Center for Conservation Biology and a professor of biology. "Now, we've shown that the number and location of the major networks smuggling these large shipments of ivory out of Africa are also relatively few." 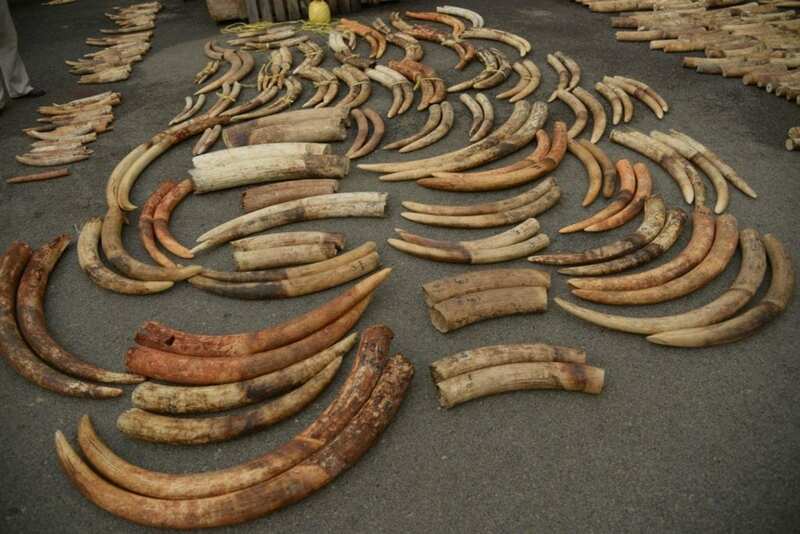 "We reveal connections between what would otherwise be isolated ivory seizures — linking seizures not just to specific criminal networks operating in these ports, but to poaching and transport networks that funnel the tusks hundreds of miles to these cartels," said Wasser. "It is an investigative tool to help officials track these networks and collect evidence for criminal cases." Wasser and his team had previously developed DNA testing of large ivory shipments to identify what populations of African elephants were most targeted by poachers. For this endeavor, they created a "genetic reference map" of elephant populations across Africa, using DNA samples extracted primarily from elephant dung. Then, the team sampled ivory from elephant tusks seized by law enforcement officials and extracted DNA from them. The researchers matched key regions in the ivory DNA samples to the genetic reference map, which let them identify the region that the elephant had come from, often to within about 300 kilometers, or about 186 miles. In a 2015 paper published in Science, they announced that the bulk of seized tusks came from two "poaching hotspots" on the continent based on these DNA analyses. "We have neither the time nor the money to collect samples and extract DNA from every tusk in a shipment," said Wasser. "We needed to find a way to sample only a fraction of the tusks in a shipment, but that method also needed to let us get a glimpse at the diversity of poached elephants within that shipment." "There is so much information in an ivory seizure — so much more than what a traditional investigation can uncover," said Wasser. "Not only can we identify the geographic origins of the poached elephants and the number of populations represented in a seizure, but we can use the same genetic tools to link different seizures to the same underlying criminal network."